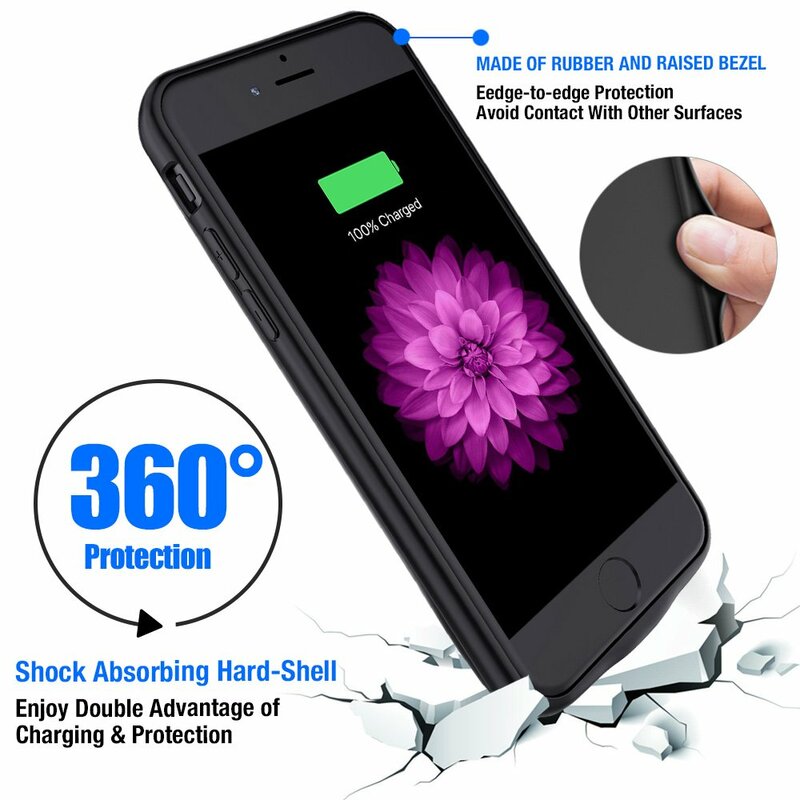 ✓【200%+Extended BATTERY LIFE】High capacity 5200mAh Li-polymer rechargeable battery case for iPhone 6s/6(4.7-inch)keep your iPhone6/6s charged whole day,equals to 24+Hrs talk time,56+hrs music,12+Hrs video or 7+hrs game time.Backup charging case for iPhone 6/6s ONLY.Support Apple Air-pod,traditional 3.5mm earphone,or any wireless Bluetooth headphone.NOT SUPPORT wireless charging or Apple carplay,Ear-pods with lightning connector. 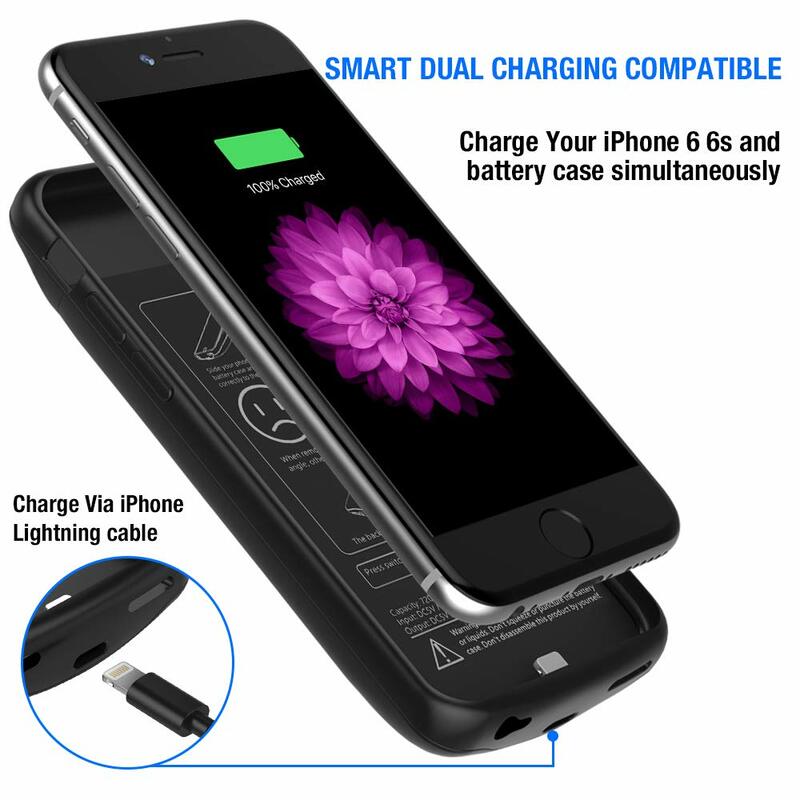 ✓【LIGHTING CHARGING&SYNC】Slim and Portable iPhone 6/6s(4.7-inch) Charger case charges both iPhone6s/6 and battery cover together, with iPhone 6s/6 charged fully first then the external battery pack.This iP6S/6 battery Charging case allows charging&data syncing your iPhone 6s/6 simultaneously to your Mac-book,PC or laptop. 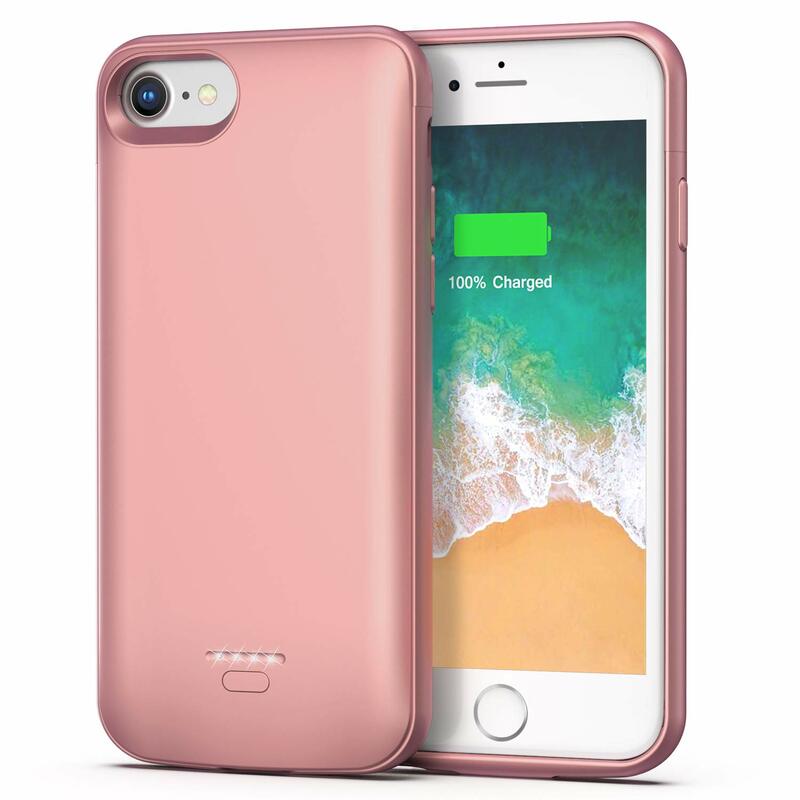 ✓【COMPACT&PROTECTIVE】Slim,accurately wraps the iPhone 6 without bottom bezel,only adds 130g to your phone.Durable hard shell&shock absorbing PE&soft TPU of the iPhone 6s charging battery case prevents scratches or daily tear and wear.The front raised bezel adds extra protection against hard falls.Sophisticated tech within the iPhone6S juice pack case helps to resist short circuit,overheating and overcharging. 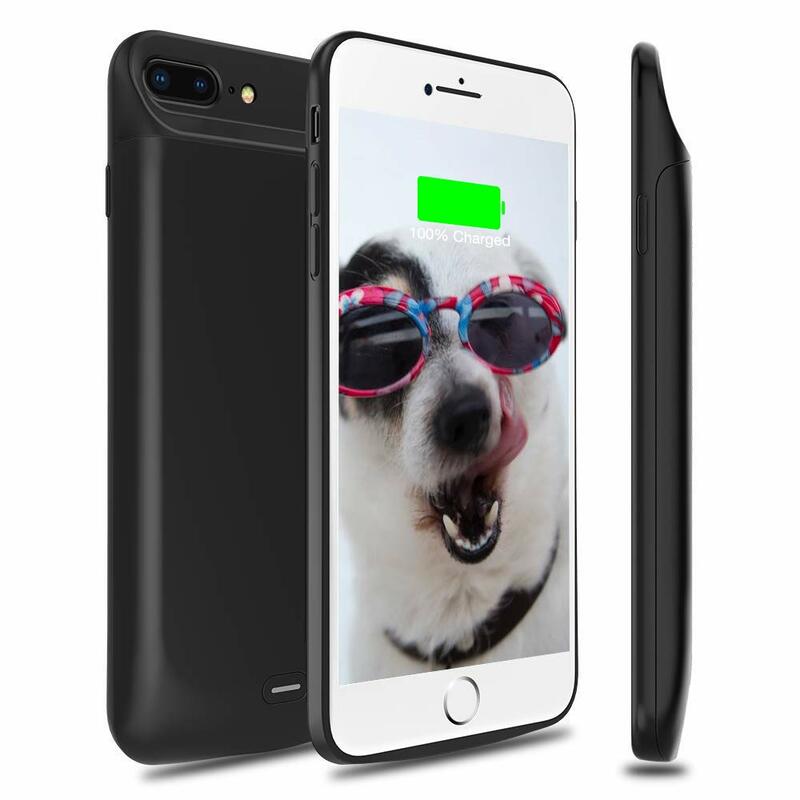 ✓【EASILY INSTALL&USE】Simply slide the iPhone 6/6s(4.7'') into the portable iP6 recharging case,with the charging port fully inserted into the charging slot.Don't tilt your iPhone 6/6s at a large angle.Indicator and power button designed together at the lower back of the iP6s charging battery case,simply press it on/off,when on, the indicator lights up with different color to show 25%-50%-75%-100% power charged or left. 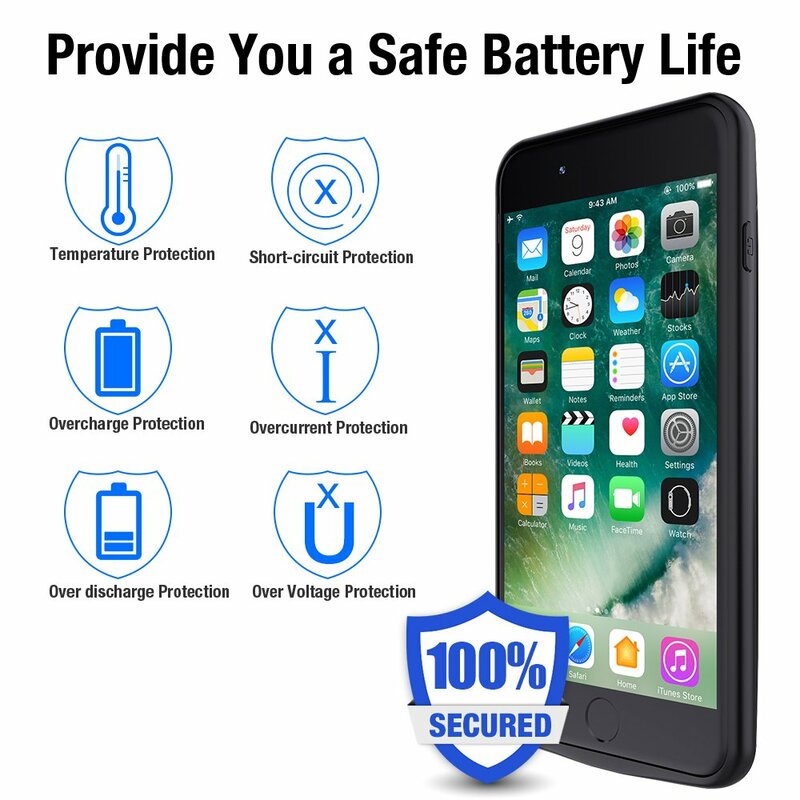 ✓【WARRANTY】Highwings provides a 12month hassle-free warranty and 24/7 customer service.Any issue with the iPhone 6/6s power backup case, please just offer order ID, describe your issue and EMAIL our customer support team,we can provide you full refund or free replacement. 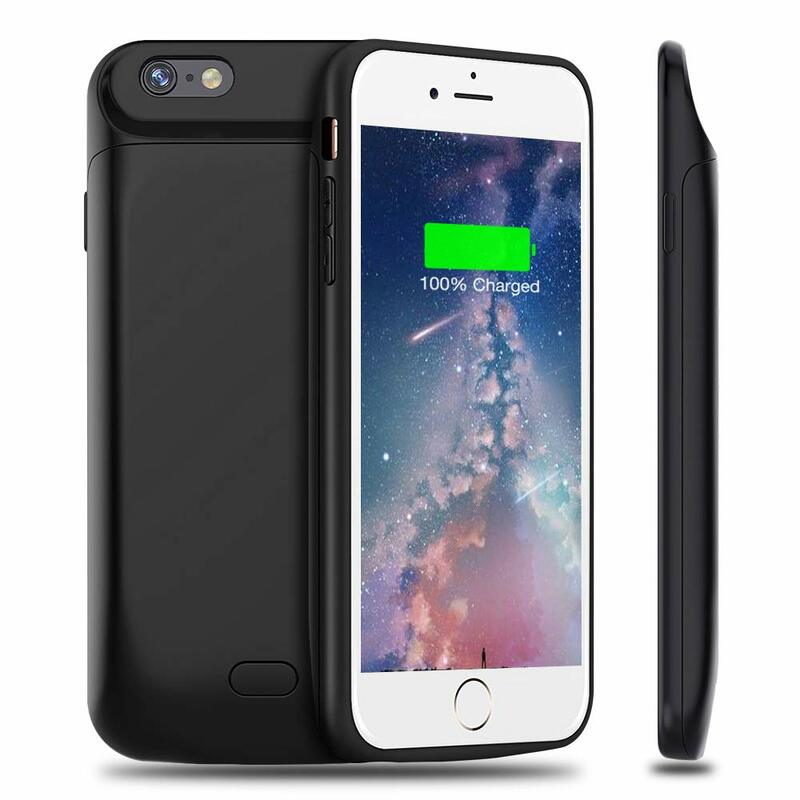 This case fits my iPhone 6plus perfectly! It’s so easy to use. 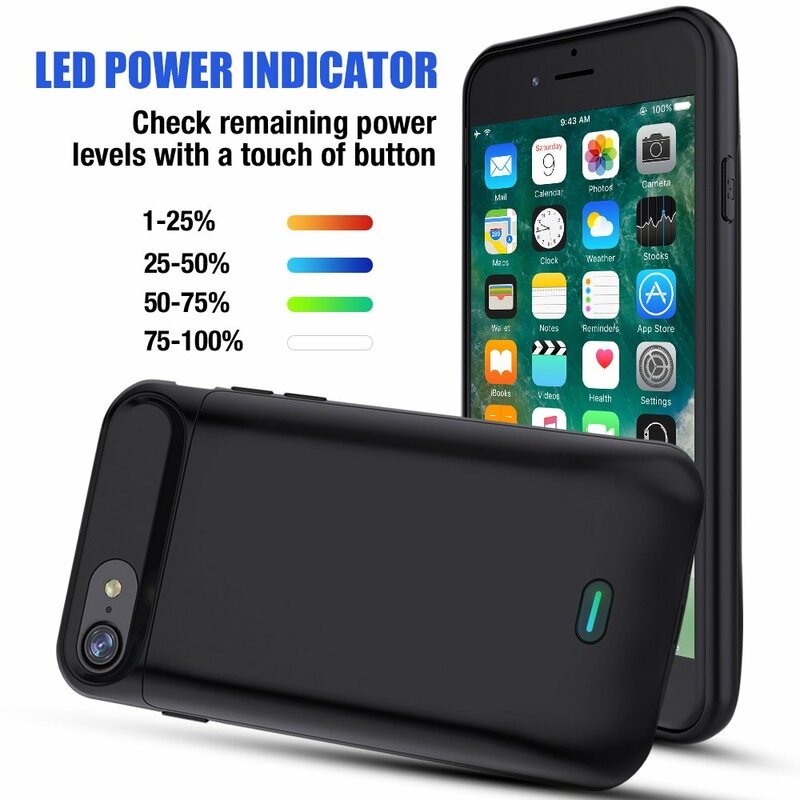 Simply hold the button on the back for around 2 seconds and the charging begins, do the same again to turn it back off. So simple! 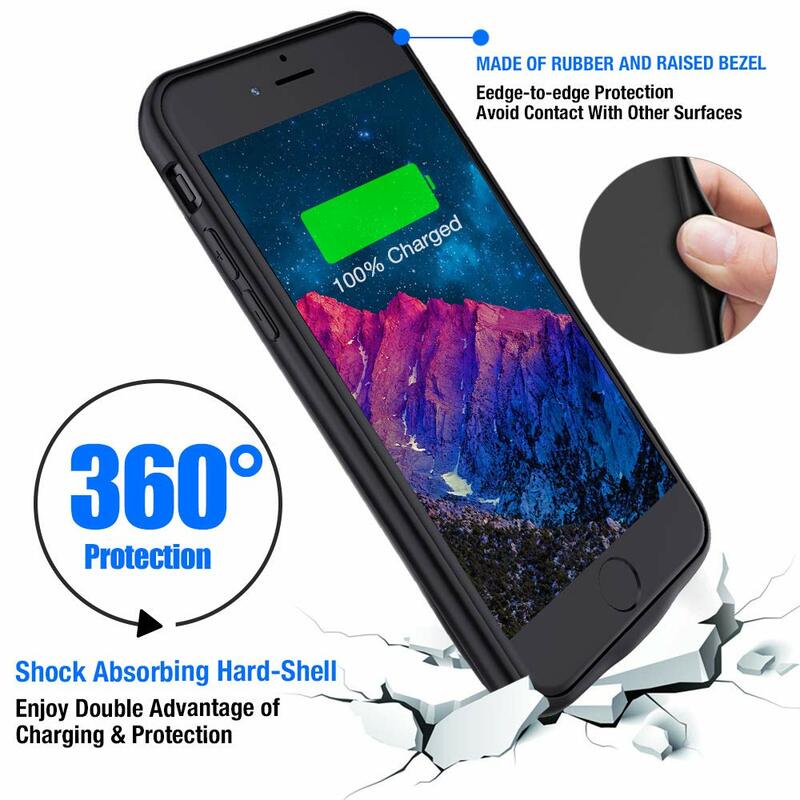 Charging the case is absolutely perfect. 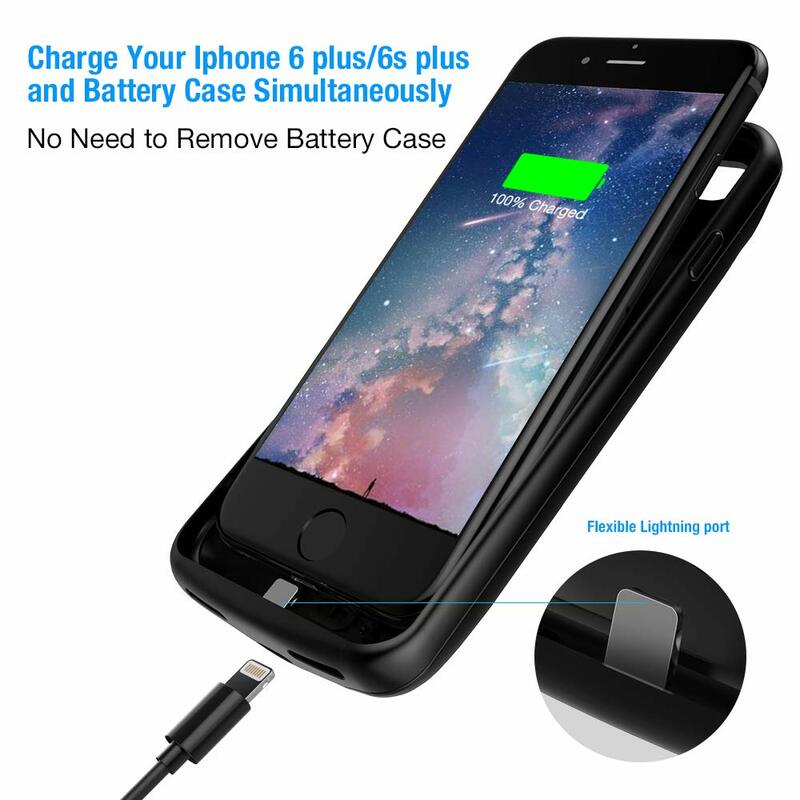 You keep the case on the phone, plug lightening cable into the case and it begins to charge your phone first, then when phone reaches 100%, the case starts to charge, perfect for overnight charging ready for the next day! 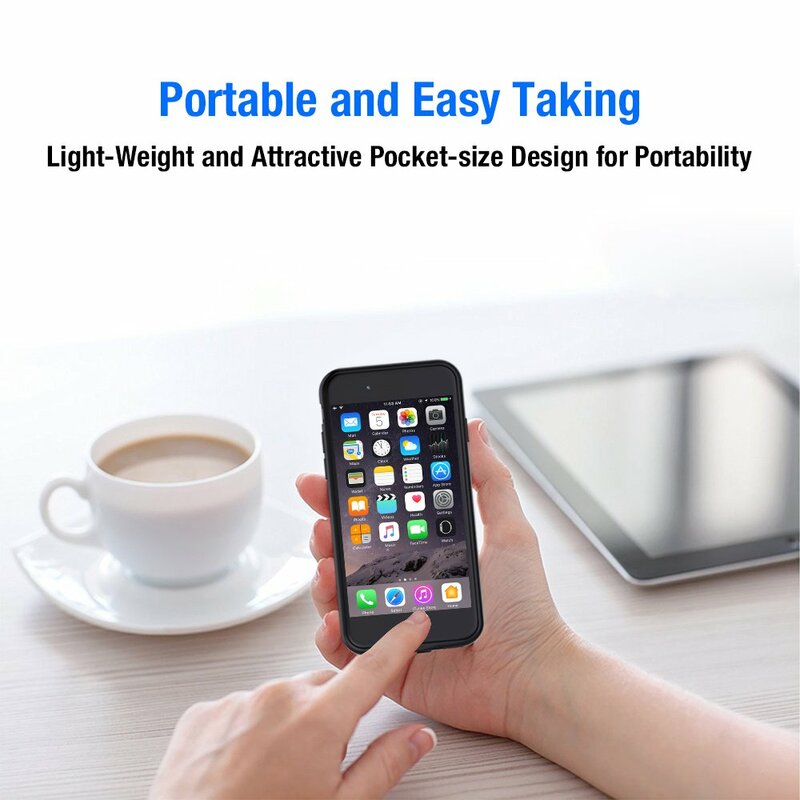 The build quality is prestine and the weight isn’t too heavy at all. 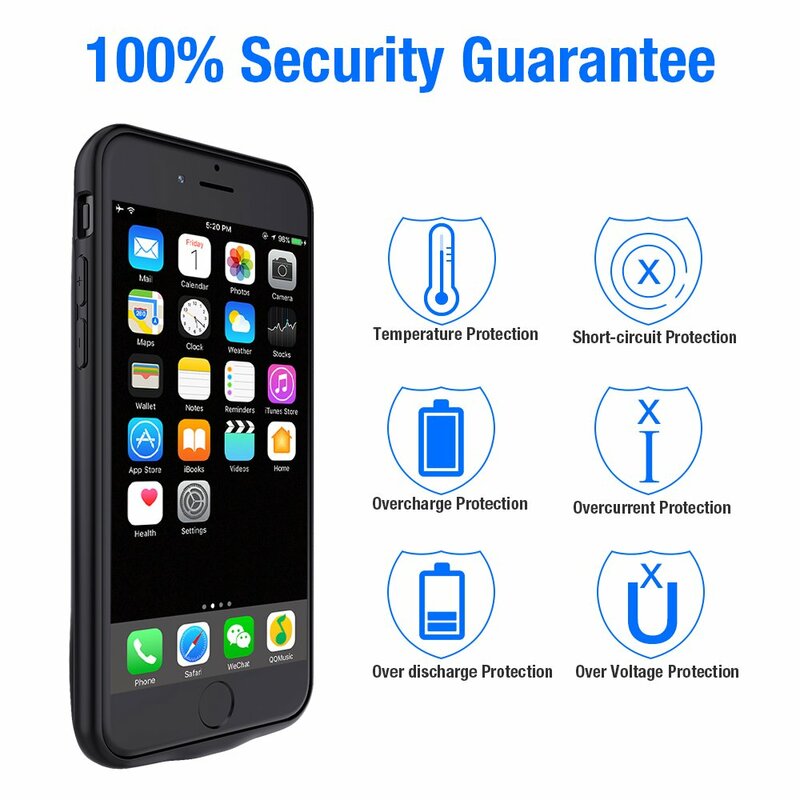 It’s just right and makes the phone feel well protected with a prestige weight to it. I love it. 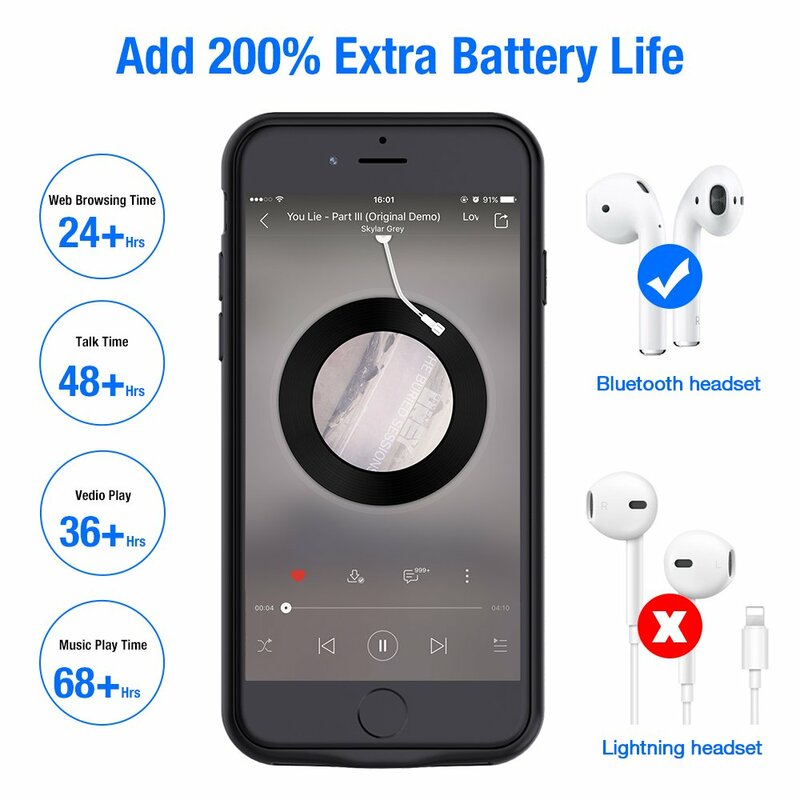 Would recommend 100%. Can’t fault it at all. Happy with the Delivery, very fast. 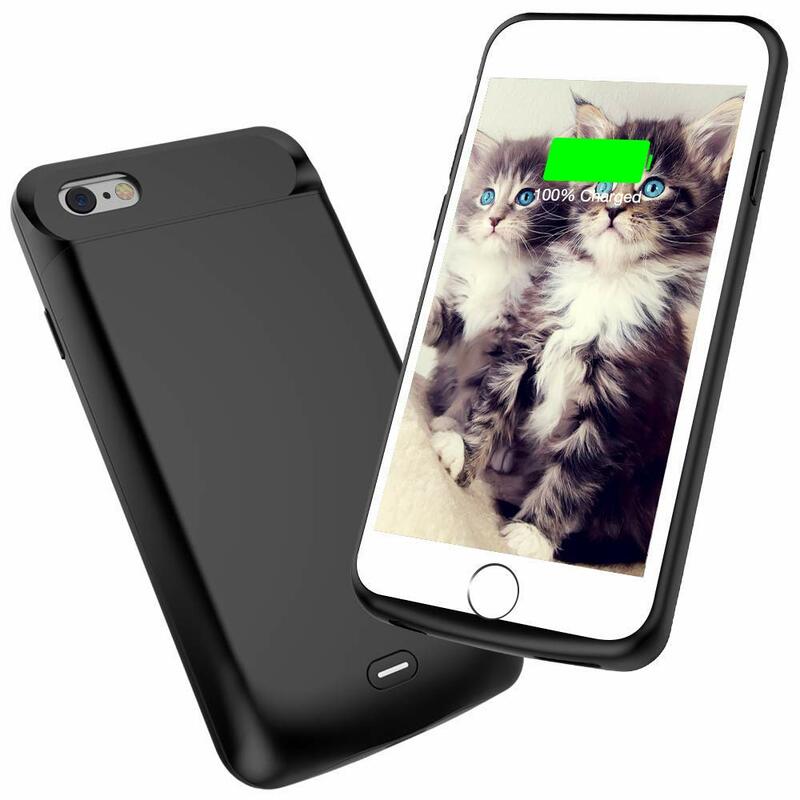 The battery case looked just great When it was out of the box,didn't feel cheap or flimsy. I've had it for a few days and it works fine so I come here! 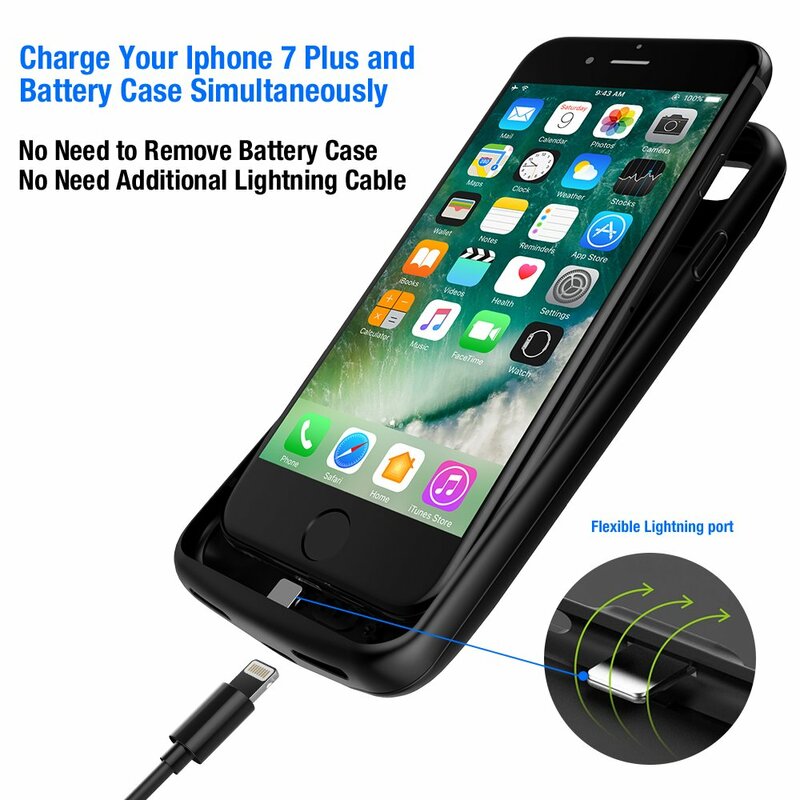 As described it fits my iPhone 7P well and I can charge both together.When the battery is charged,it charges my iPhone 7plus twice. 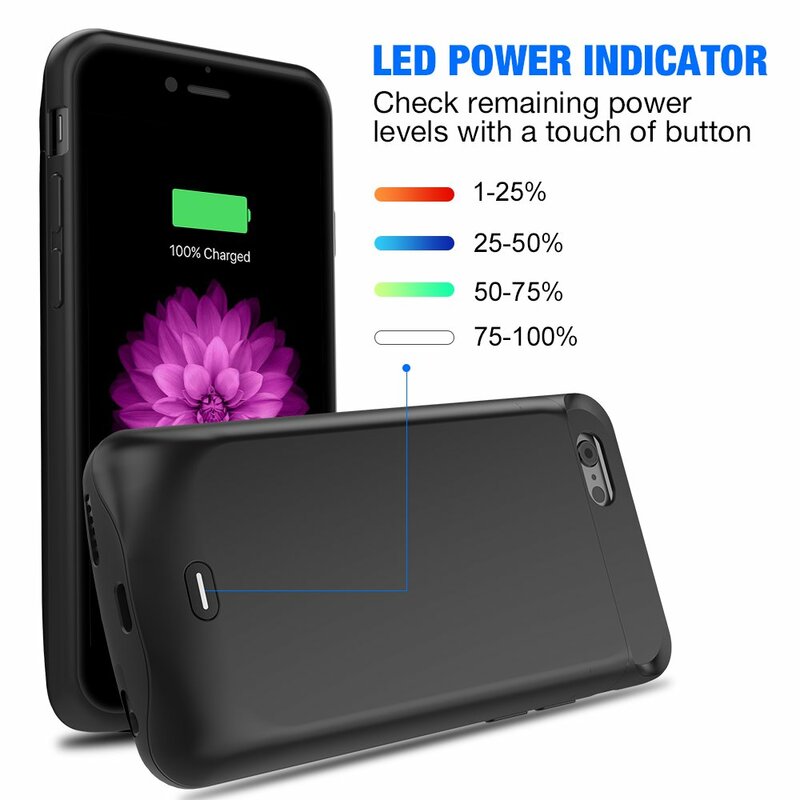 It tells you how much power is left in the charger by the different colored lighting on the button.It's so convenient for on the go emergencies that I don't have to find my power bank and cord. 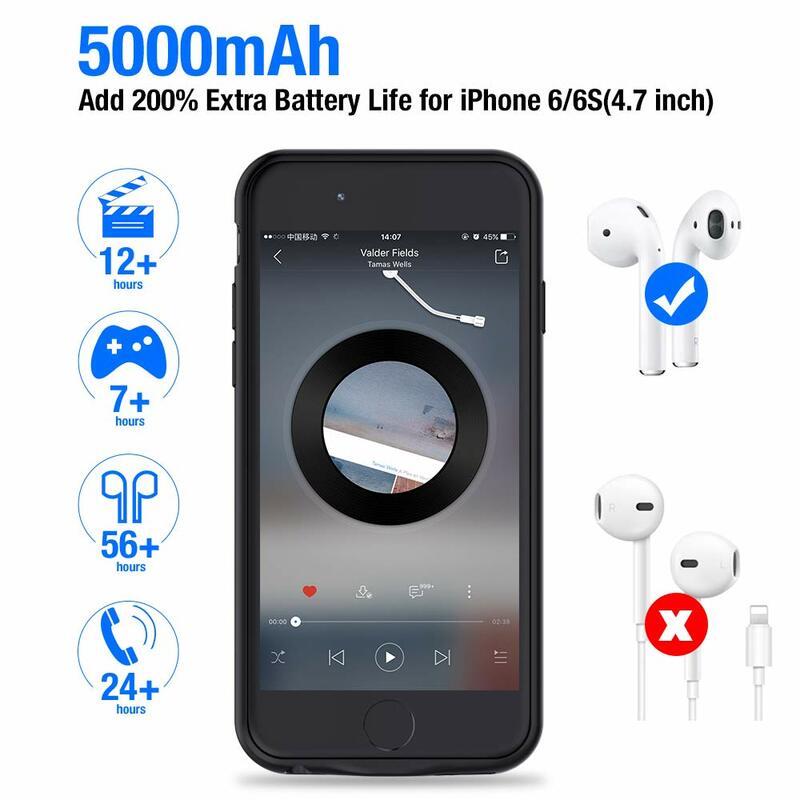 So far I'm very happy, will recommend this item to my friends. 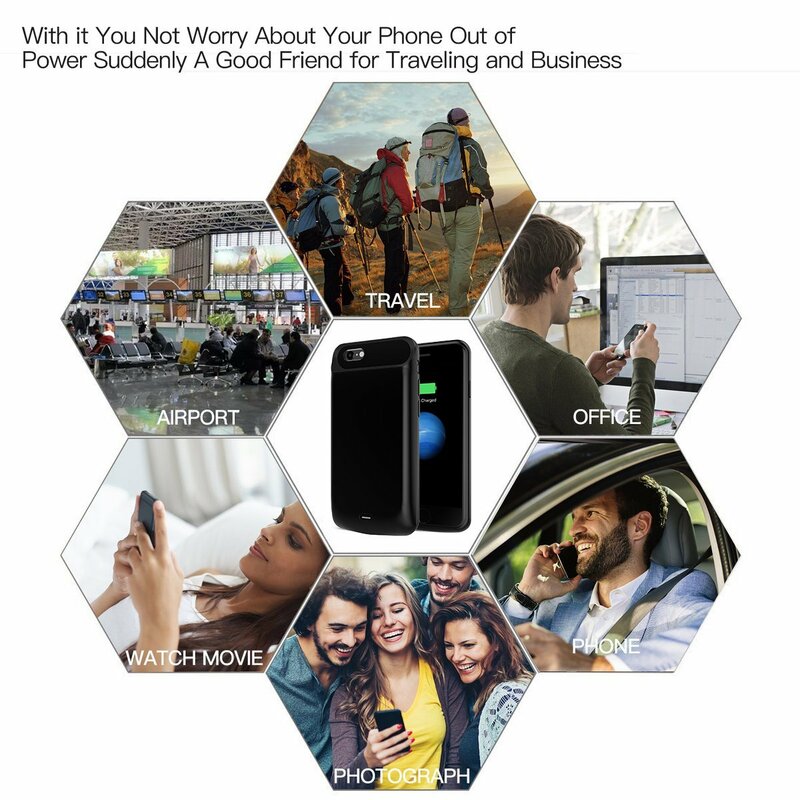 Love it this external cover! 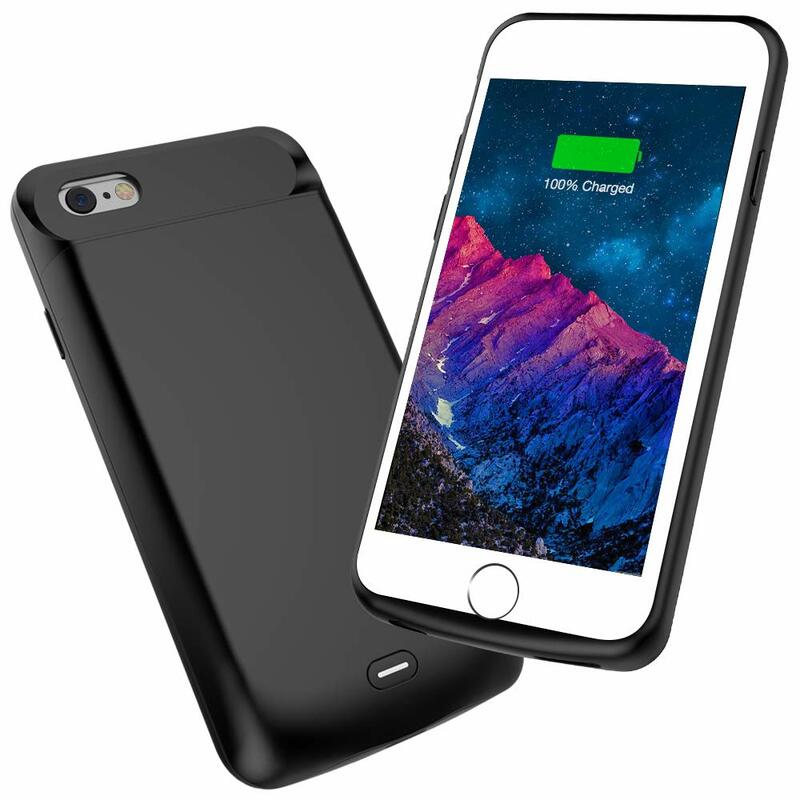 I always stay on the move and the battery is easy to running out for my iPhone 6s. 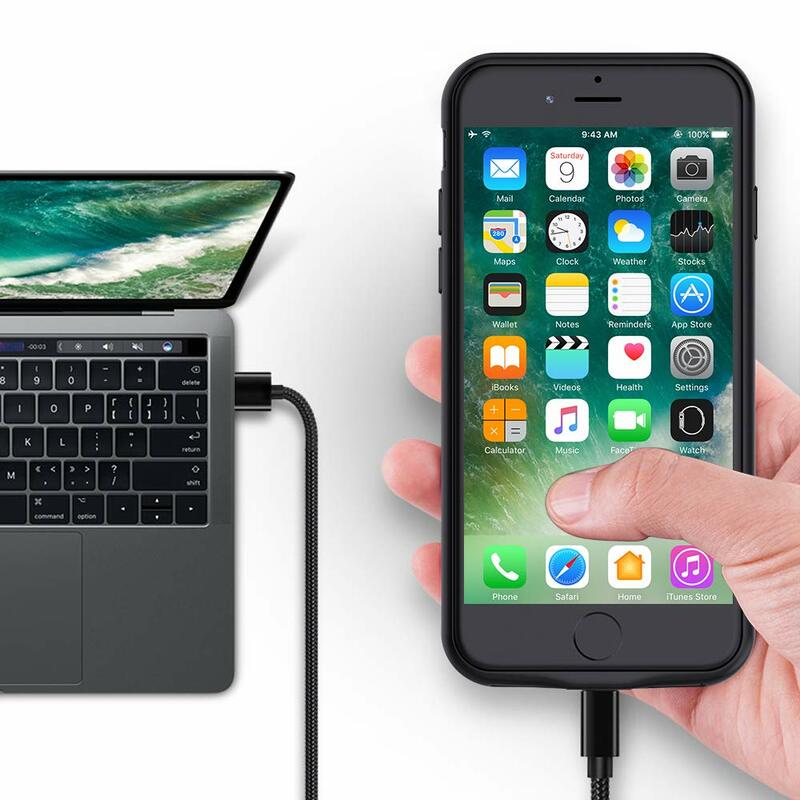 I used to take my power bank and a cord which is not that convenienct indeed. 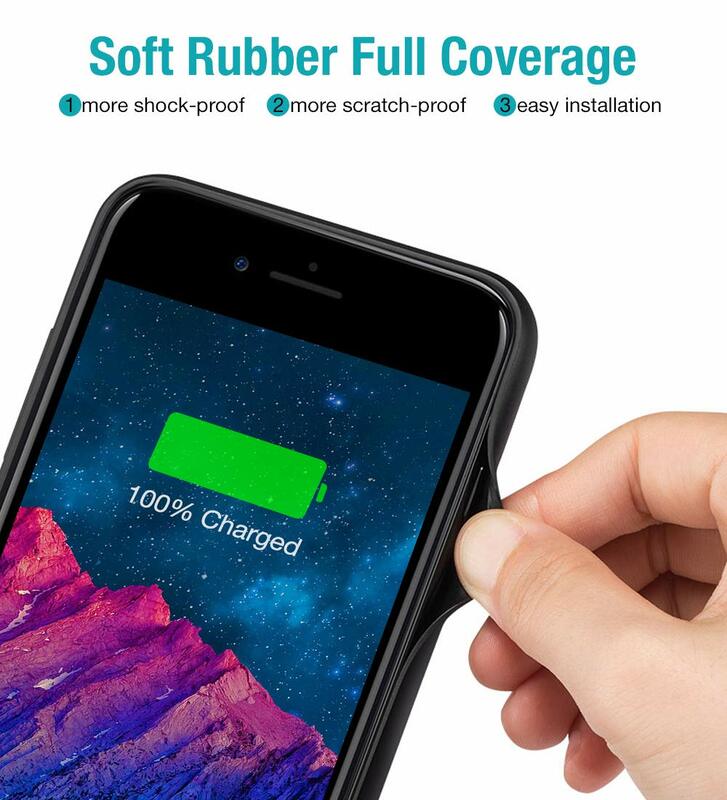 Now I got this and it does what it says on the tin, fits my phone well without adding a lot of bulk or weight. 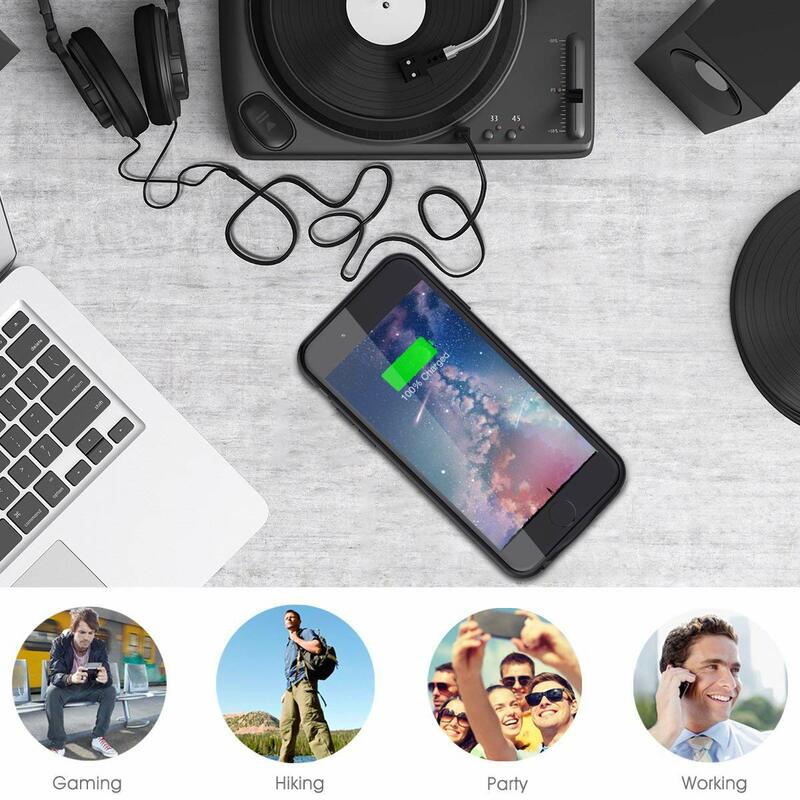 When my phone battery is low, I can simply press the on/off button and keep the charge at 100%. So far I'm happy. 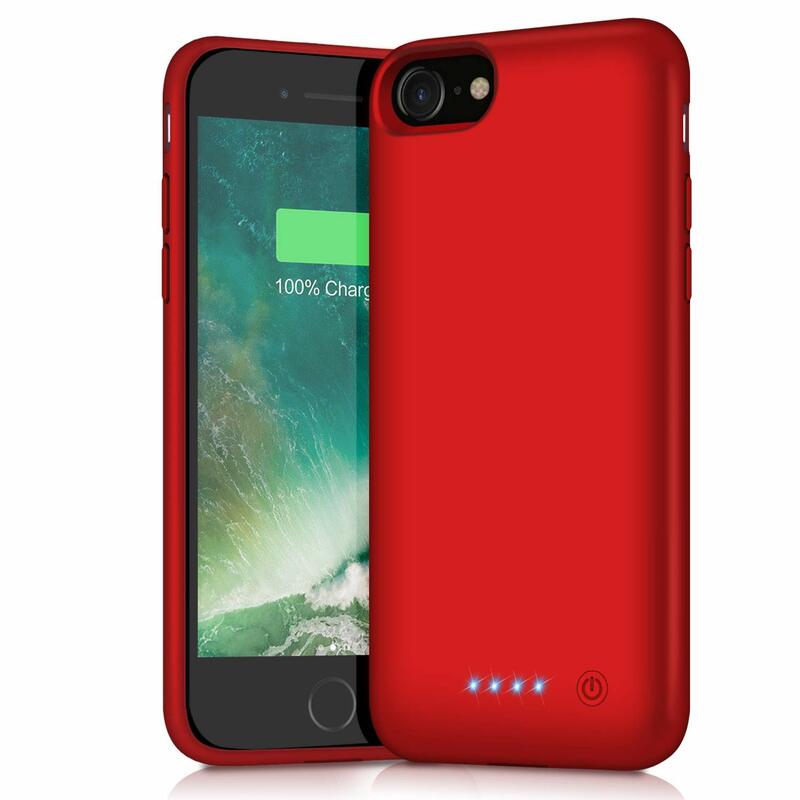 Excellent product for the iPhone 7. 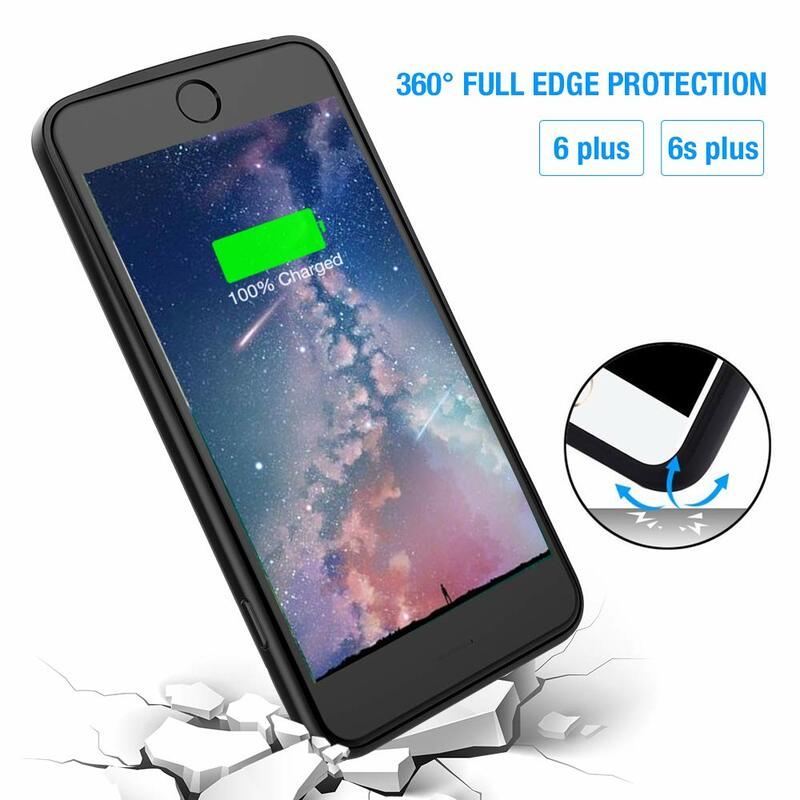 Have been looking for a battery case for my phone for some time. This one is excellent. 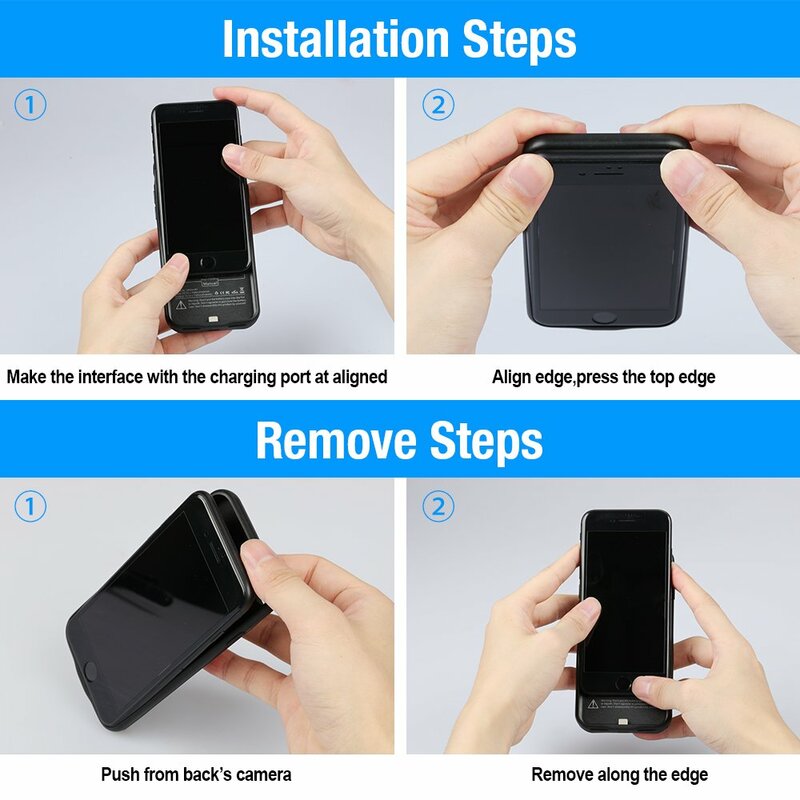 when the phone is running out of juice, push the button on the battery cover and it re-charges. 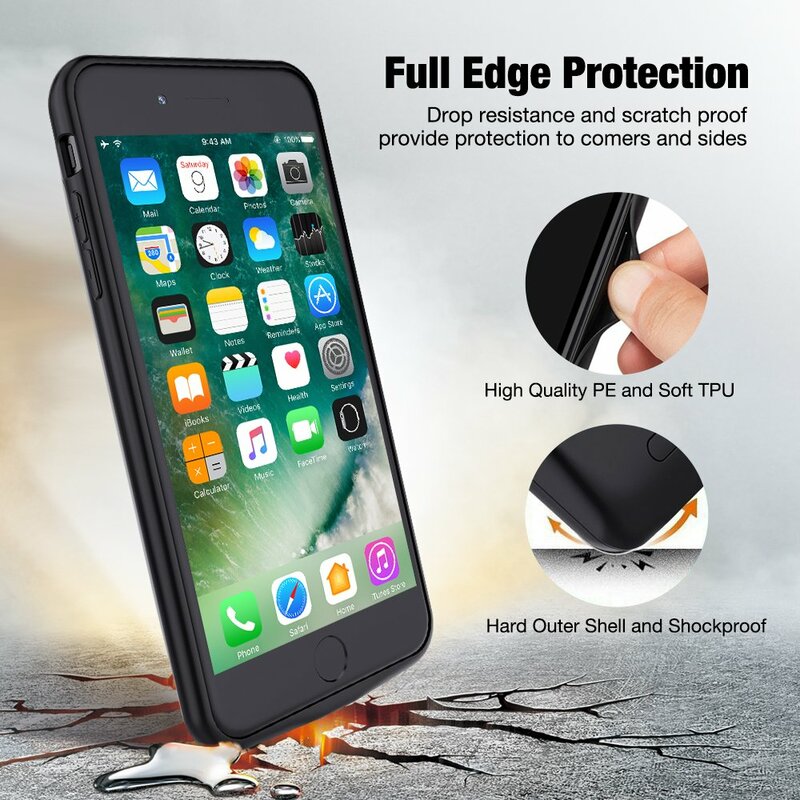 The cover is made of a very good quality material - I highly recommend this cover. Really! A simple note to say it does not support Apple Play! 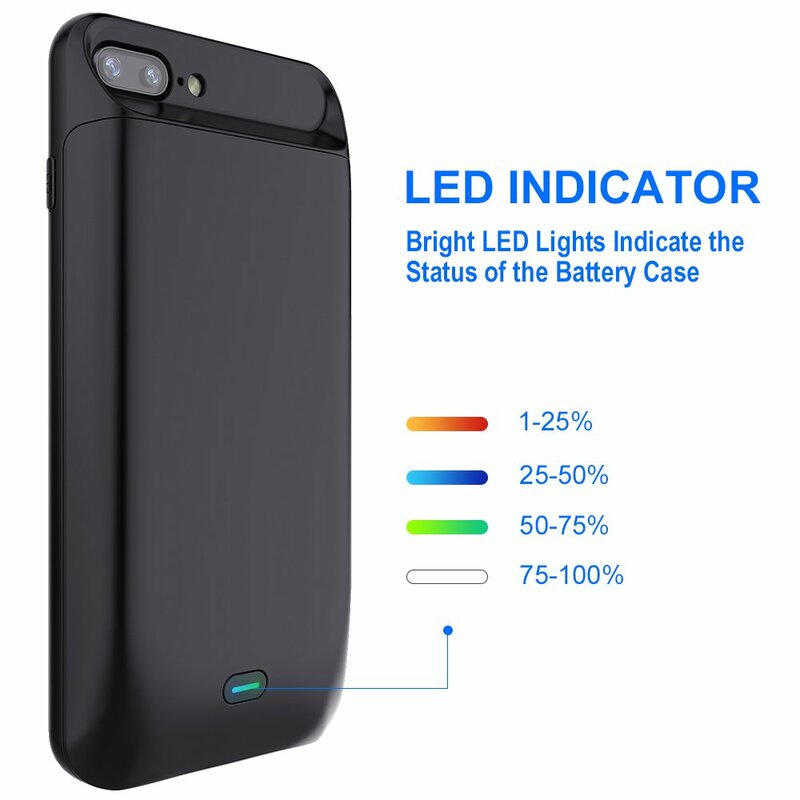 This battery case is exactly what the doctor ordered. 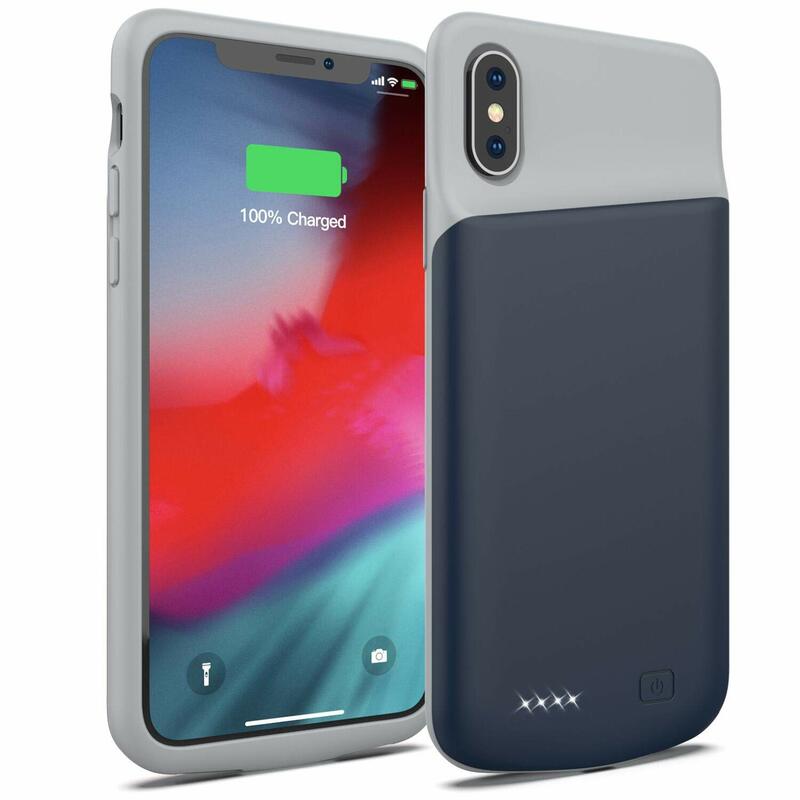 It fits my Iphone 8 plus like a glove. Highly Recommended!!! 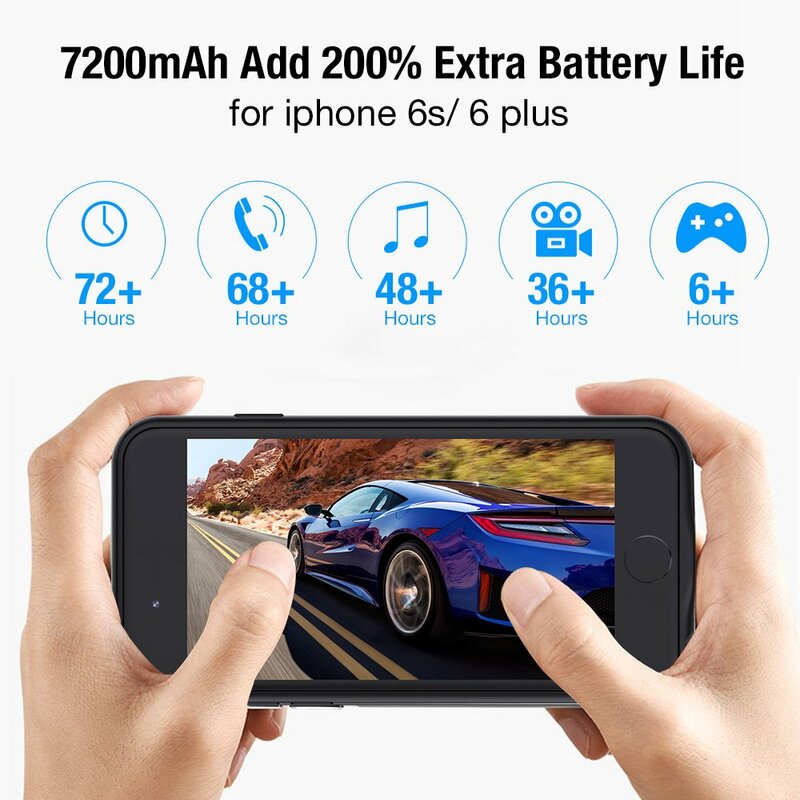 Use to extend battery life of iphone 6s. 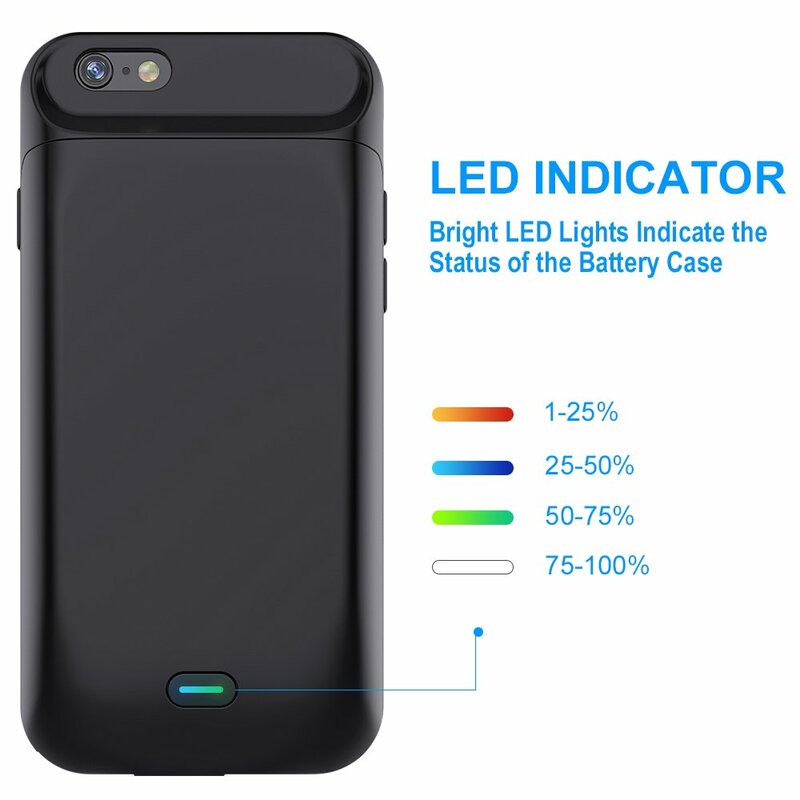 Phone fits easily and snugly into case. 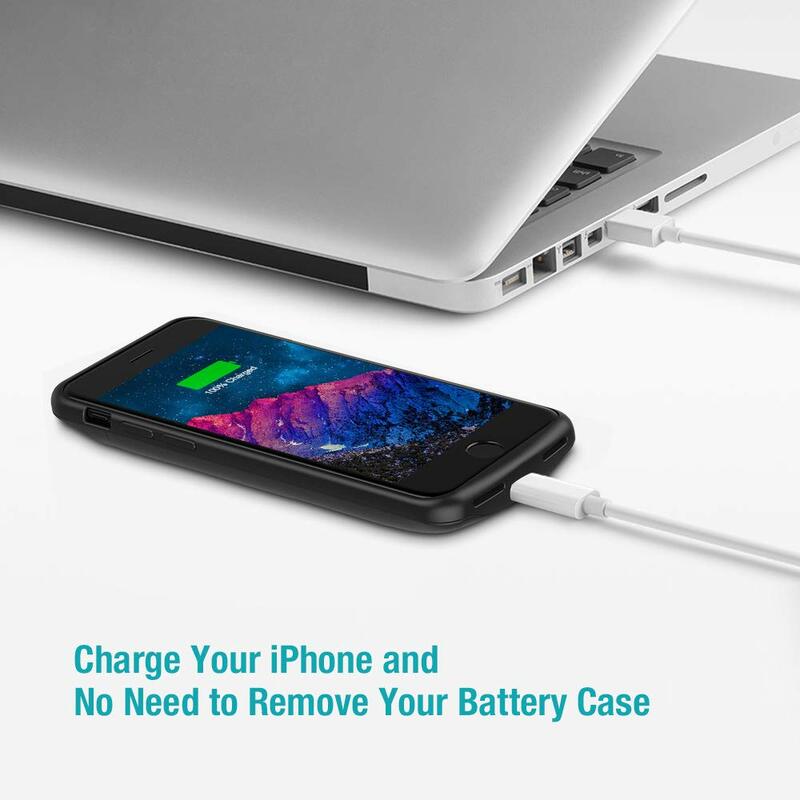 Best part is I can still use the same usb cord to charge both phone and charger at same time. Charges fast. Really happy especially compared to my experience with the last one I had from another seller. Will see how long it will last but so far very impressive.